3. 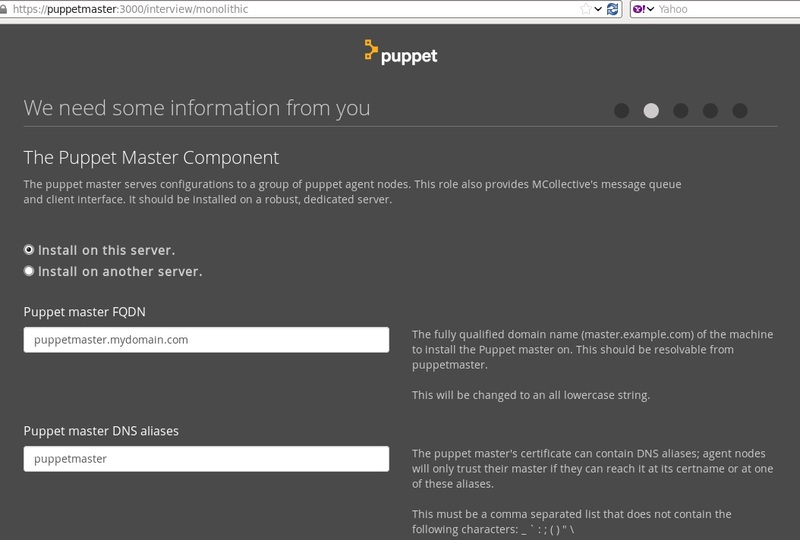 Configure puppet agent to point to the master server. 1. 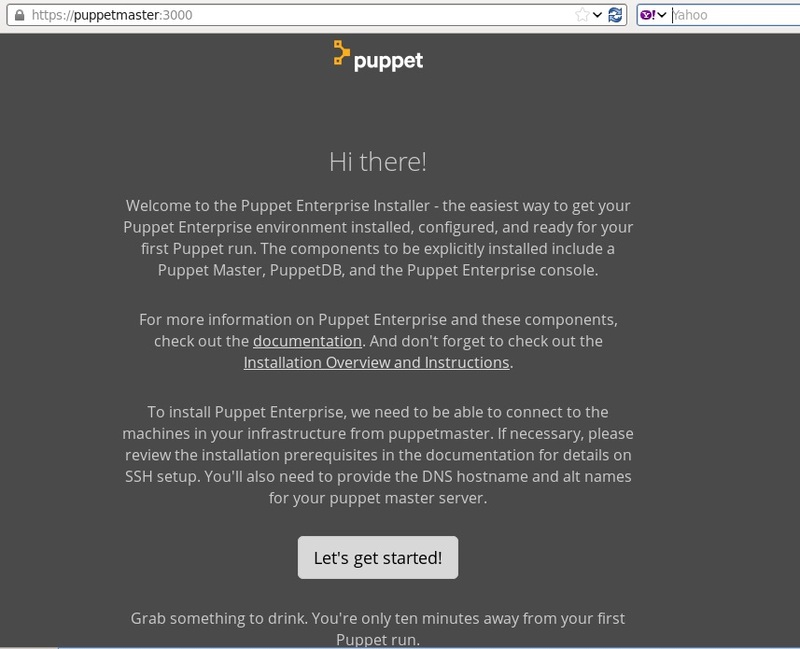 Go to https://puppet.com/ and download the .tar.gz Puppet enterprise master and Agent installation files. 2. 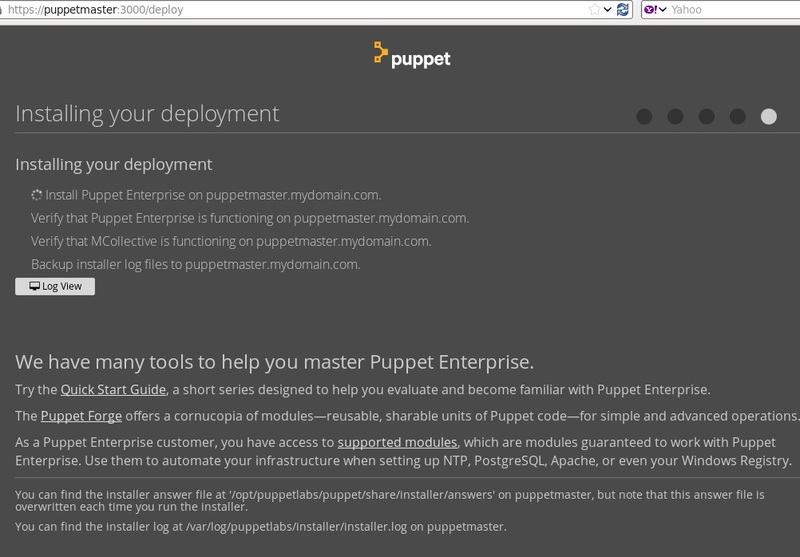 Upload the puppet-enterprise tar.gz file to the Puppet Master Server. 4. 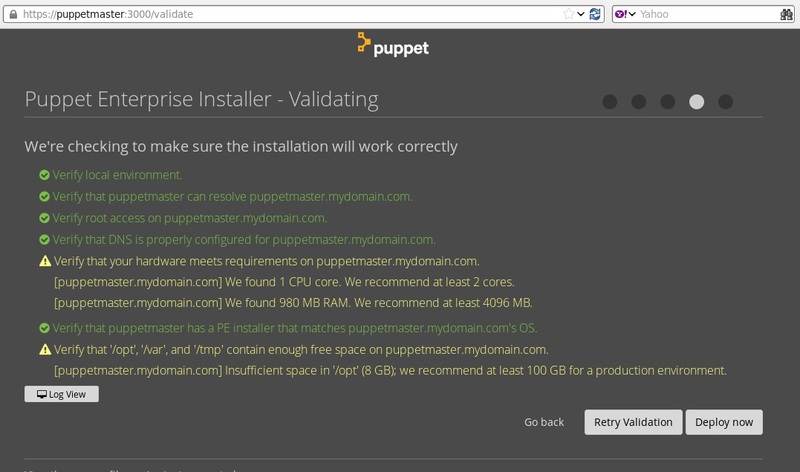 Now we will start the Puppet Enterprise Master installation. 6. As shown in the above pic, open a browser and go to the url mentioned. Click “Let’s get started!” to continue the installation. 7. Choose your deployment mode. Since my environment is less than 7000 nodes, I am using only 1 master server, I am going with Monolithic. 8. 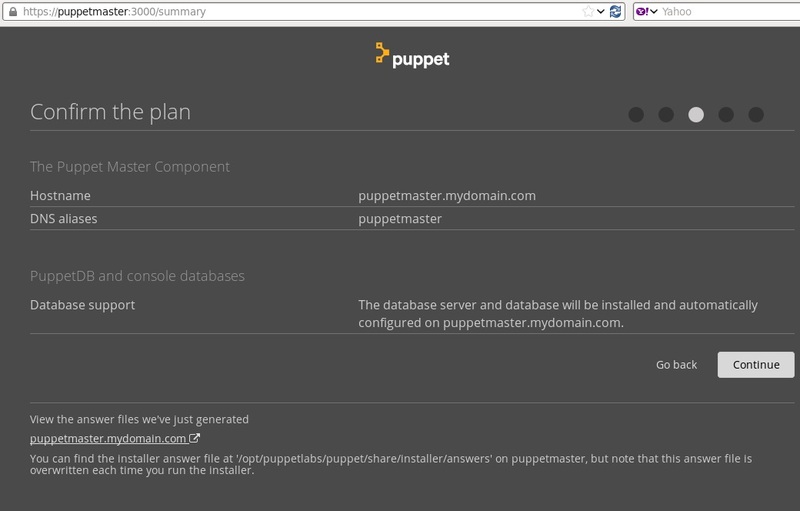 Enter the puppet master FQDN and Puppet master DNS alias. 10.1 Select the database support needed. Here I am selecting the option to install the PostgresSQL and to create PuppetDB database on it during the installation. 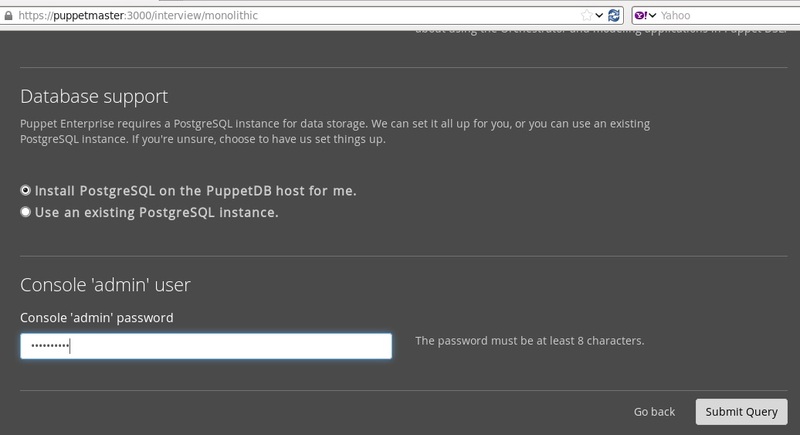 10.2 Enter the admin password, this is need to login to the Enterprise GUI console after installation. 11. If there are no messages in red color, click “Deploy now”. 12. 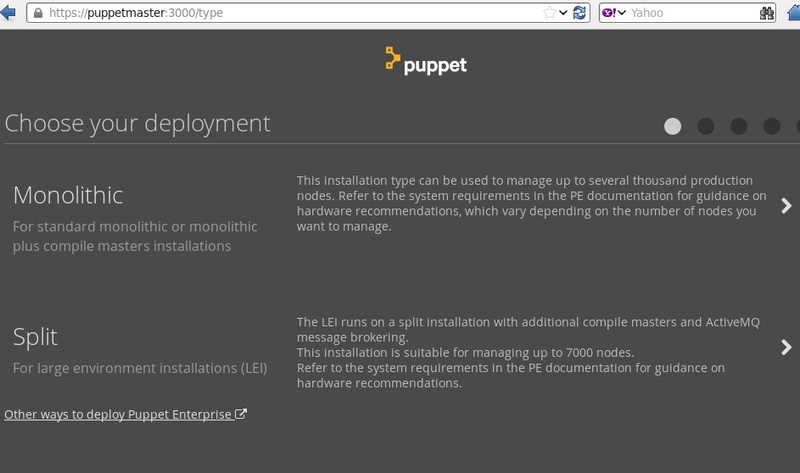 Now the Puppet entries is getting installed. and start up the virtual box. I had my vagrant installed in the location C:HashiCorpVagrant. And added C:HashiCorpVagrant;C:HashiCorpVagrantbin to windows environment path. 4. I had issues installing the box image using vagrant command, through internet. So I downloaded them and copied them and initiated it locally. 5. Add the downloaded box. 9. Use the details got from the step 8 to ssh login using putty. Now you are in the vm.